Thanks to today's new snow, New England's newest ski area is set to open Saturday in Nashua, New Hampshire. According to a Facebook post this afternoon, the grand opening is set for Saturday, with lift tickets for the 12 to 9 session starting at $25. According to the Gateway Hills web site, skiing may be available on Friday. 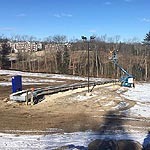 Located adjacent to the Nashua Technology Park, Gateway Hills Snow Park will provide beginner terrain on natural snow. A 250 foot long by 40 vertical foot Magic Carpet lift has been installed, as well as night lighting. Terrain park elements will also be available. 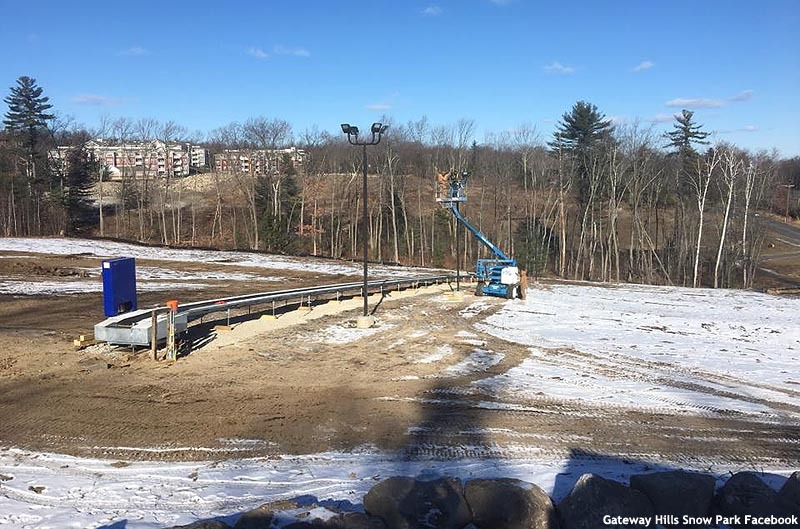 Gateway Hills is likely the first net new ski area to open to the public in New Hampshire since the 1970s. A trailer will host ticket and rental operations this season, while a small building may be constructed next year. Existing buildings and parking lots will be leveraged for restrooms and parking this season. Snowmaking and snow tubing could be added at a later time.